LOS ANGELES/WASHINGTON (Reuters) – The 27 states challenging Obama’s Clean Power Plan in court say the lower emissions levels it would impose are an undue burden. But most are likely to hit them anyway. Already, Arkansas, North Carolina, Oklahoma and South Dakota appear to be meeting the CPP’s early targets. And changes in the power market, along with policies favoring clean generation, are propelling most of the rest toward timely compliance, according to researchers, power producers and officials, as well as government filings reviewed by Reuters. States engaged in the legal battle that is set for an appellate court hearing later this month say their concerns go beyond whether they can meet the mandate. The states, most of them led by Republican governors, say they object to what they view as federal overreach by Obama and the Democrats and want to maintain flexibility to make energy decisions at the state level that reflect changing market conditions. The Obama administration finalized the Clean Power Plan in 2015 as a central part of meeting U.S. obligations under the Paris Climate Agreement. In February, the U.S. Supreme Court stayed implementation of the rule pending resolution of the states’ litigation. Later this month, a panel of the D.C. Circuit Court is scheduled to hear arguments in the case. 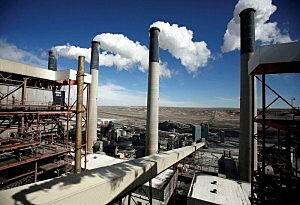 The CPP sets carbon-reduction goals for each state, but allows states to decide how to meet them. During the early years of implementation, the goals are guidelines intended to put states on track to meet the final deadline of 2030. If a state fails to submit a plan to the EPA by interim deadlines, the agency can impose its own plan on that state’s power producers. Failure to comply by 2030 could open a state up to administrative penalties and lawsuits. To be sure, some states fighting the mandate would have to drastically change course to meet it. West Virginia, which is leading the legal challenge with Texas, still relies largely on carbon-spewing, coal-fired power. And Wisconsin, North Dakota, Montana and Wyoming have large gaps between their current emissions and the plan’s mandates. But, in a reflection of how rapidly the power market is shifting, the U.S. government’s Energy Information Administration earlier this year reduced its forecast for 2030 power plant carbon emissions by nearly 11 percent, without factoring in reductions that may be generated by the Clean Power Plan. The projection for the nation as a whole would be nearly two-thirds of the CPP’s target by 2030, even if the law never takes effect. 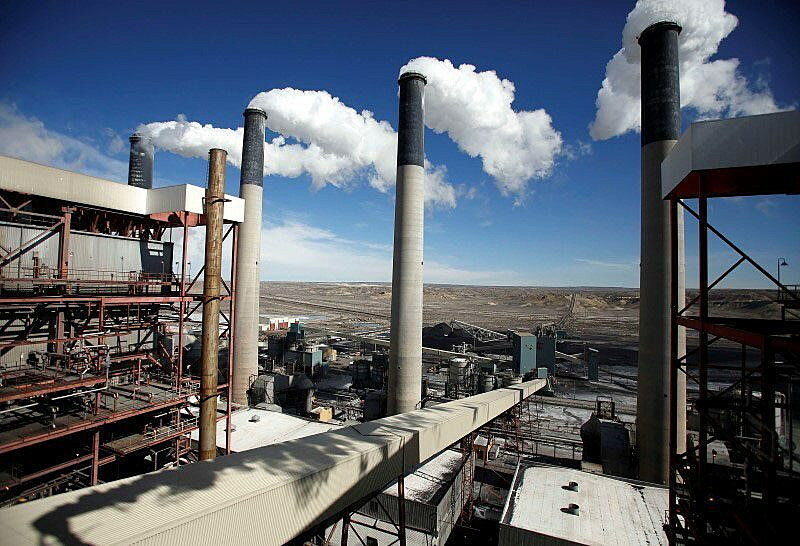 A 2015 analysis by consulting firm M.J. Bradley &amp; Associates for the Environmental Defense Fund found that 21 of the 27 states suing to block the Clean Power Plan are on track to meet its 2024 targets with existing plants and planned investments. Eighteen states are on track to hit the 2030 targets with no changes to current plans, according to the Bradley analysis, which was filed with the court as part of an amicus brief from the Environmental Defense Fund in support of the government. And the outlook has improved for some states since the Bradley forecast. It didn’t expect Arkansas, for example, to meet the 2024 target. But in 2015, after shifting significant energy generation from coal to natural gas, the state reported power plant emissions for the year that were below the 2030 requirement. Some of the states contesting the rules say they object to strict timelines. Texas also has protested the CPP’s timetable, saying it would require the construction of transmission lines that could raise costs for consumers. But the state already has moved heavily into wind and solar in recent years, and is nearing its 2030 goals. John Hall, Texas director for EDF and a former environmental regulator for the state, said Texas could profit from the rule, noting the state ranks at the top of the list of wind energy producers and is making big moves into solar. “The CPP would enable Texas to make money by exporting wind and solar electricity,” he said. States that export coal or gas-fired power, on the other hand, are concerned about their ability to keep doing so. “It is very important that we don’t get caught in the fray of an EPA energy policy that dictates what we do as an exporting state,” said Stuart Spencer, Arkansas Department of Environmental Quality Associate Director. Whatever happens in court, energy policy will remain a highly charged political issue. Republicans are overwhelmingly opposed to the administrationâ€™s attempts to curb carbon emissions.